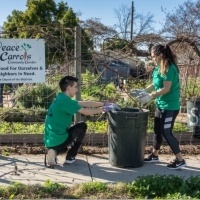 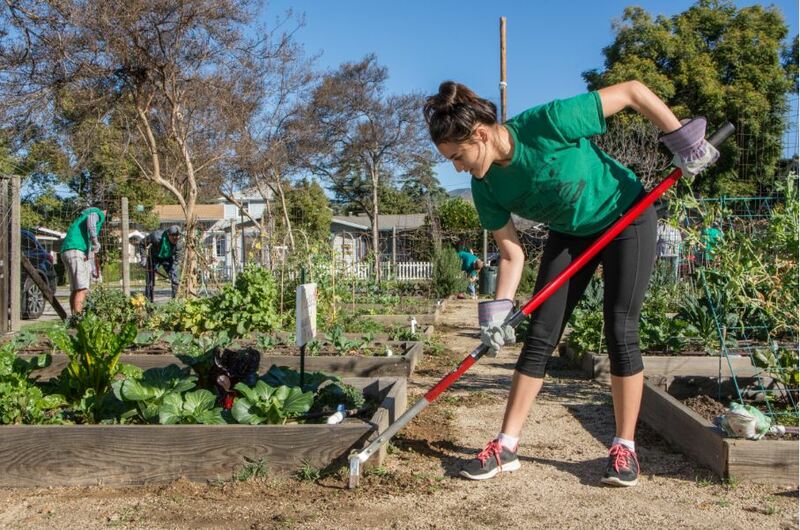 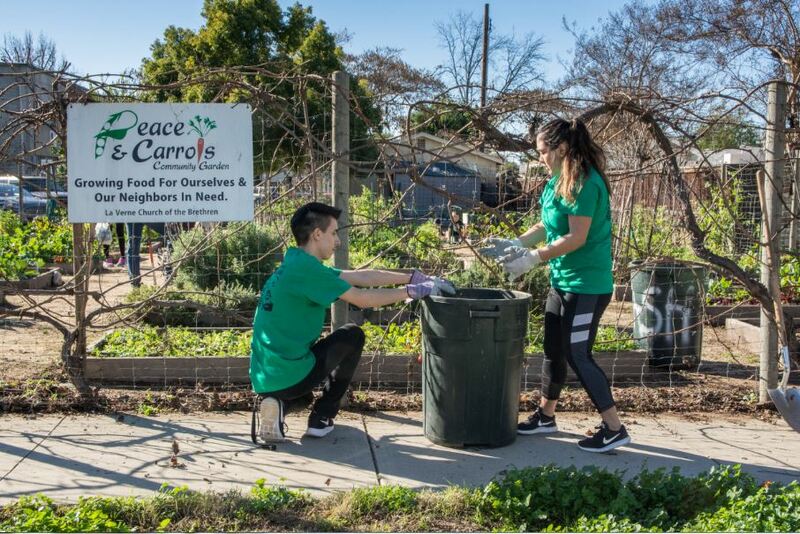 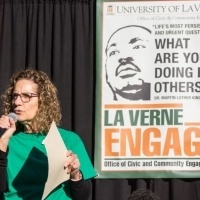 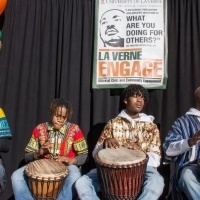 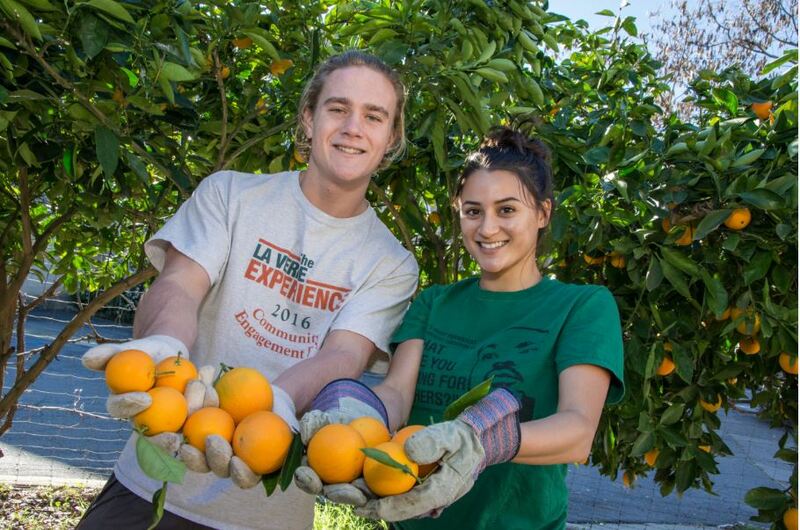 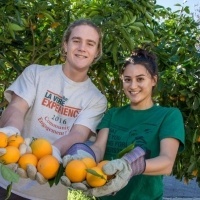 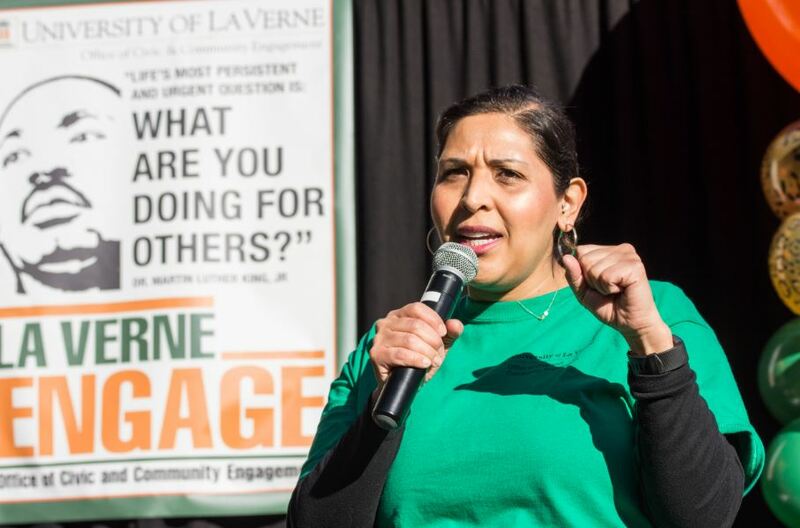 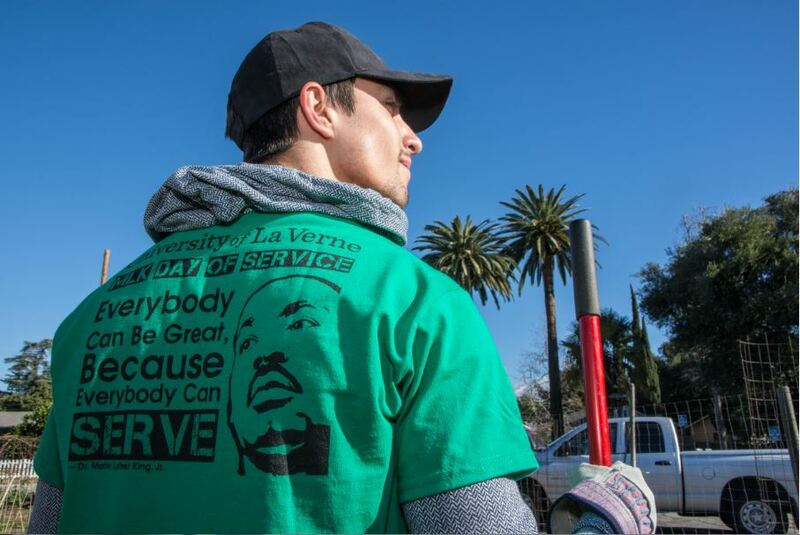 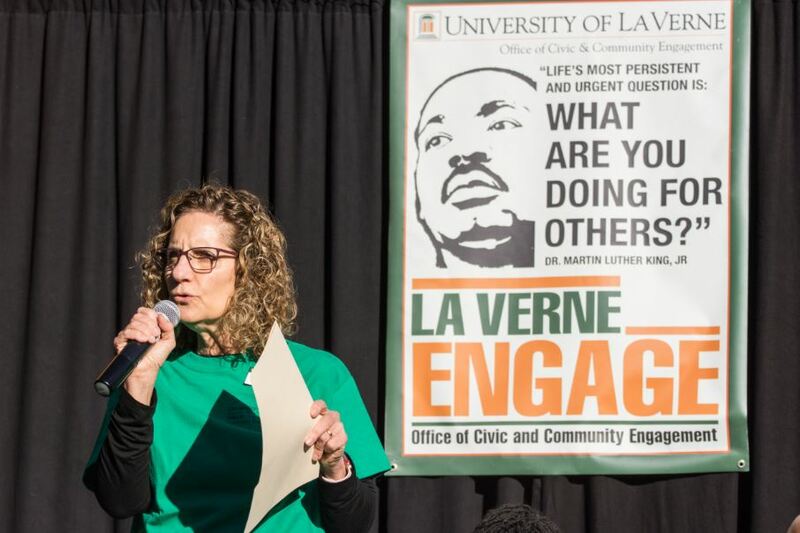 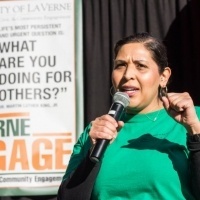 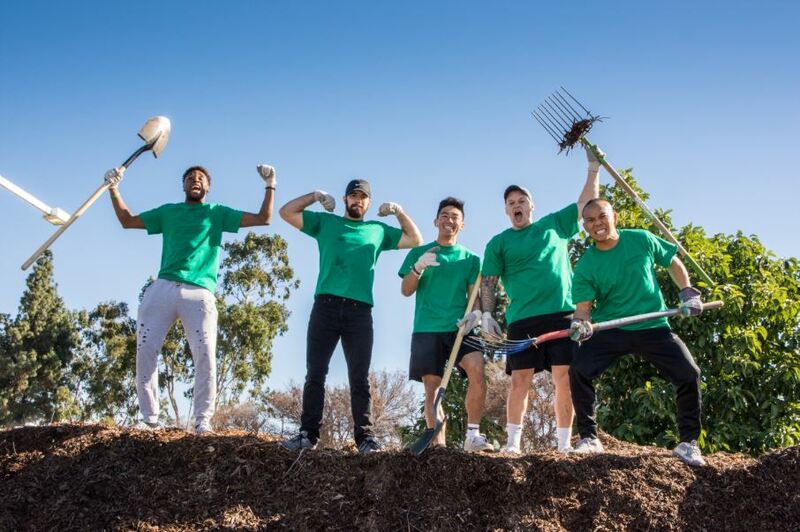 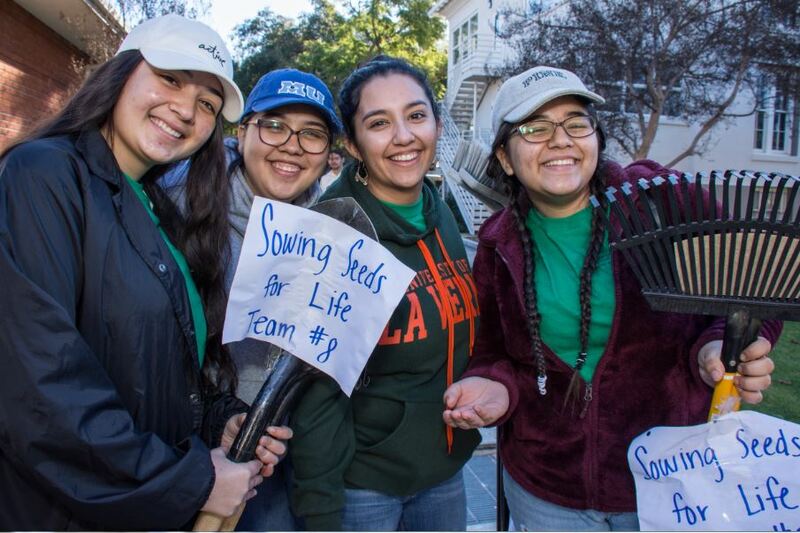 In honor of Dr. Martin Luther King Jr., the University of La Verne hosted more than 200 students, faculty, staff, and community members for its 8th Annual Dr. Martin Luther King Jr. Day of Service on Jan. 21. 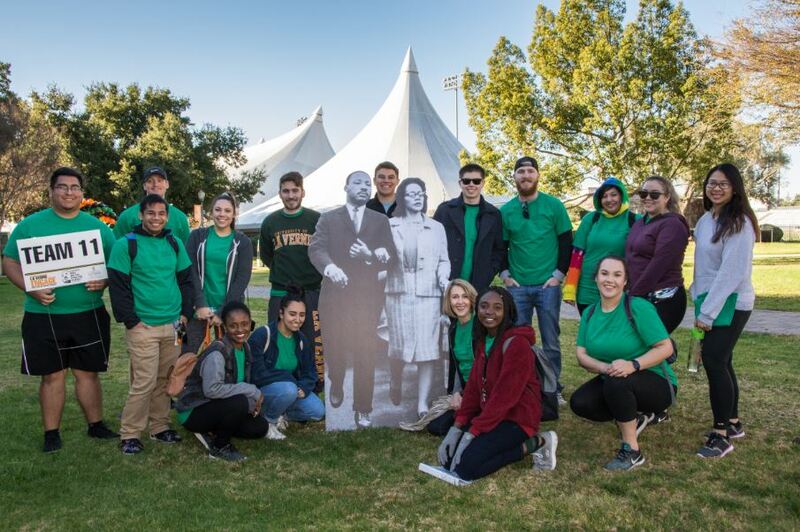 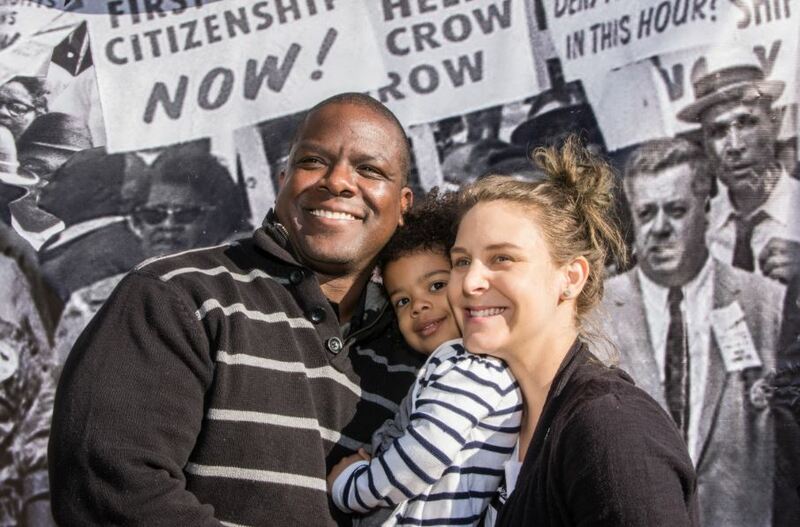 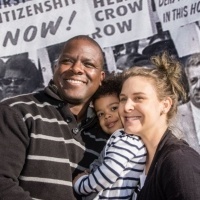 The annual community event honors the legacy of service and community inspired by King through volunteer service at local charities. 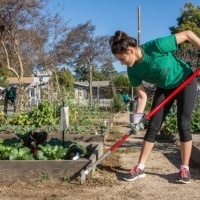 Volunteers assisted in the upkeep of gardens, painted and varnished, organized and stored packages, washed and cleaned vehicles, and organized toiletry bags and food bags. 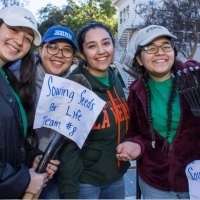 Additionally, volunteers made no-sew fleece blankets with residents at Hillcrest Retirement Community that will be donated to California wildfire victims. 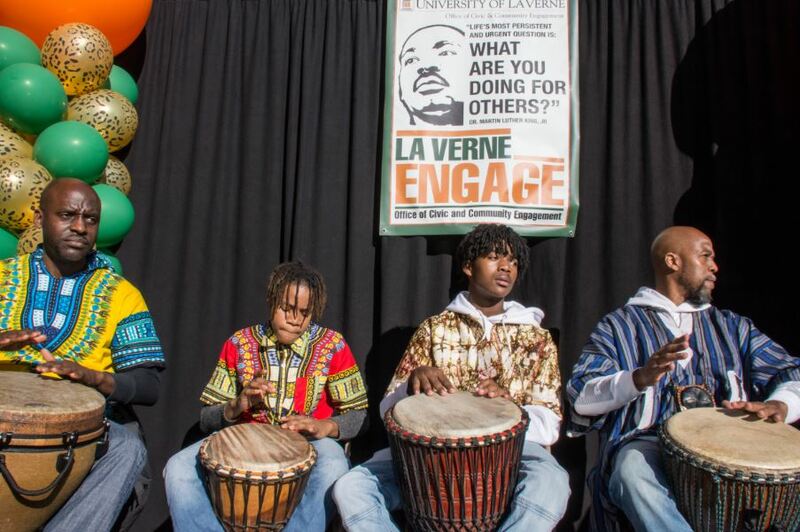 During the event, volunteers and staff enjoyed a performance by West African drummers, delicious soul food, and cupcakes to celebrate the late reverend’s birthday.